Robbie Gould is the most successful kicker to have ever put on a Bears uniform. His 85.8 field goal percentage is by far the best in Bears history, and for seven seasons, his kicking has been automatic. But in a Q and A with the Bears' website, Gould admits he almost missed the opportunity to play for the team because he thought he was being pranked by friends. "I got a call from [executive assistant] Robyn Wilkey. 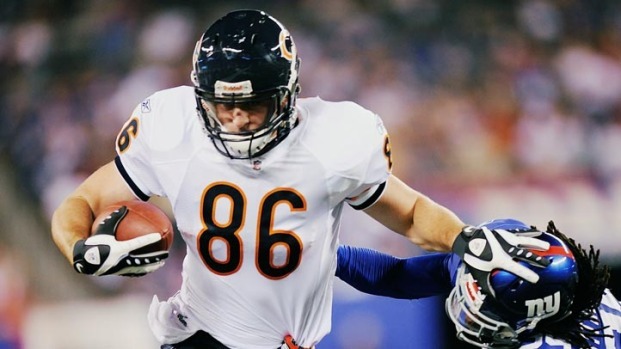 She said, ‘We want to bring you in for a tryout.’ In order to find me where I was working, you’d have to really dig or call my agent and my agent never called me to say the Bears were going to call," Gould said. "My mom or dad never called me to say the Bears were trying to call me. At the end of the day, I thought it was a prank. I kept hanging up on her. Little did I know it was actually a tryout." Kudos to Wilkey for being persistent. Chicago may never have the 806 points Gould brought the team via field goals and extra points. Gould was also questioned on if he'll be around long enough to break Super Bowl kicker Kevin Butler's record as the all-time leading scorer. He said he would like to, but it would require a long-term contract. "It would mean a lot to me, having played in an organization as long as Kevin Butler did with the success he had as a kicker. But unfortunately that’s outside my control because I don’t think I have enough years right now under contract to beat his scoring record. Hopefully the organization will reward me with a new contract at some point and I’ll have the ability to break his record down the road." Since joining the organization in January, Bears GM Phil Emery has handed out smart contracts to players who have done well for the team. Gould has two more years left on his contract, but locking him up soon should be high on the Emery's list.